Anna J. Smitherman, 86, Anderson, passed away March 19, 2019, at Community Hospital, Anderson. She was born Jan. 6, 1933, in Anderson. She retired in 1996 from Guide Lamp after 26.9 years of service. She loved to crochet, read, travel, play scrabble and bingo, and was an avid Elvis fan. Survivors include her children, Michael Murdock, Teina Lynn (Charles Eugene) Williams, Charles (Ranita) Allen Smitherman; stepchildren, Shirley (Rick) Randall, Sherry Kelsay; grandchildren, Chason Smitherman, Charissa (Jeff) Huntzinger, Christopher Murdock, Shian Smitherman, Charles (Laura) Allen Smitherman Jr., Kristie (Josh) Bell; 16 great-grandchildren; a great-great-grandchild; two nieces; special friend, Waneta Rigdon. 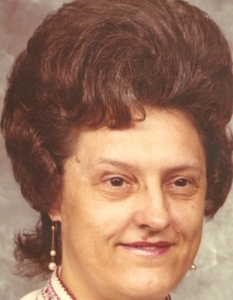 She was preceded in death by mother and stepfather, Anna Bell Allen and Allen Davis; stepson, James Smitherman; grandchildren, Chad Williams, Angela Thurber; brother, James Milton Leatherbury; sister, Jewel Evelyn Leatherbury; former husbands, Ralph Murdock, Ernest Smitherman; special friend, Lucille Murdock. The family wishes to thank Providence of Anderson for all their loving care and support over the years. Visitation will be held Saturday, March 23, 2019, from 10:30 to 11:30 a.m. at Loose Funeral Homes & Crematory, 200 W. 53rd St., Anderson. Services will be Saturday, March 23, 2019, at 11:30 a.m. at the funeral home. Burial will take place in East Maplewood Cemetery, Anderson. Memorial contributions may be made to Heart Disease Research.